Larry Chiavaro - For the Industry. By the Industry. 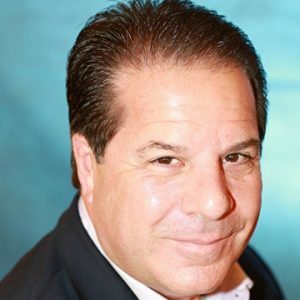 Larry Chiavaro is a dynamic sales and business development executive with an outstanding 25-year track record of identifying and developing growth in the consumer finance industry. In his current role as Executive Vice President and Principal of First Associates Loan Servicing, Mr. Chiavaro has used his vast expertise and deep industry relationships to help build the company into the fastest growing servicer of loan and lease portfolios in the United States. Prior to joining First Associates, he developed the BPO Loan Servicing Business for CSC, working with banks, investment banks, finance companies and credit unions on a national level. Mr. Chiavaro also created and managed a national wholesale sales force for NovaStar Mortgage and held leadership positions at Household/HSBC Auto Finance and GE Capital, where Jack Welch, the legendary CEO of General Electric, recognized him for his record-setting production. He has strong historical ties to the rating agencies built over years of experience in the consumer finance industry and was active in the first publicly-rated marketplace lending securitization for Eaglewood Capital, CAN Capital and Blackrock’s securitization for Prosper Loans. Mr. Chiavaro is the owner of the Consumer Finance Professionals Group on LinkedIn and is a graduate of the GE Management Institute and GE Six Sigma program.